Get OST to PST converter by Coolutils. 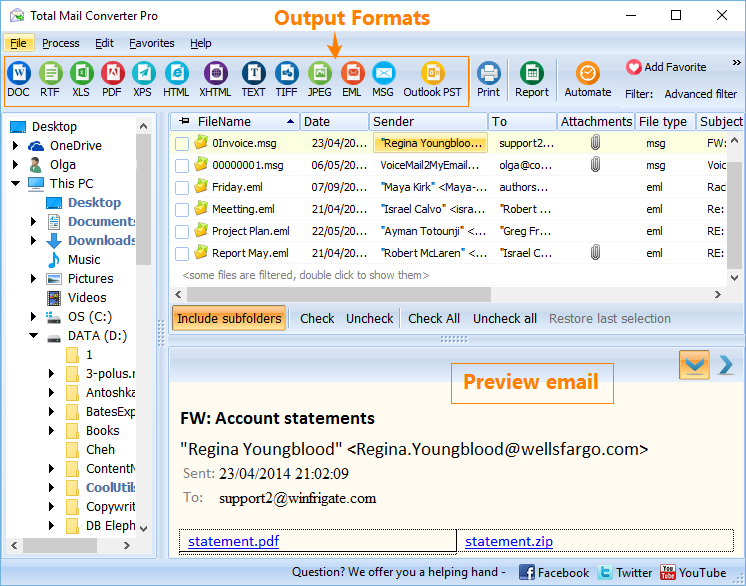 You are here: CoolUtils > Total Mail Converter Pro > Get OST to PST converter by Coolutils. 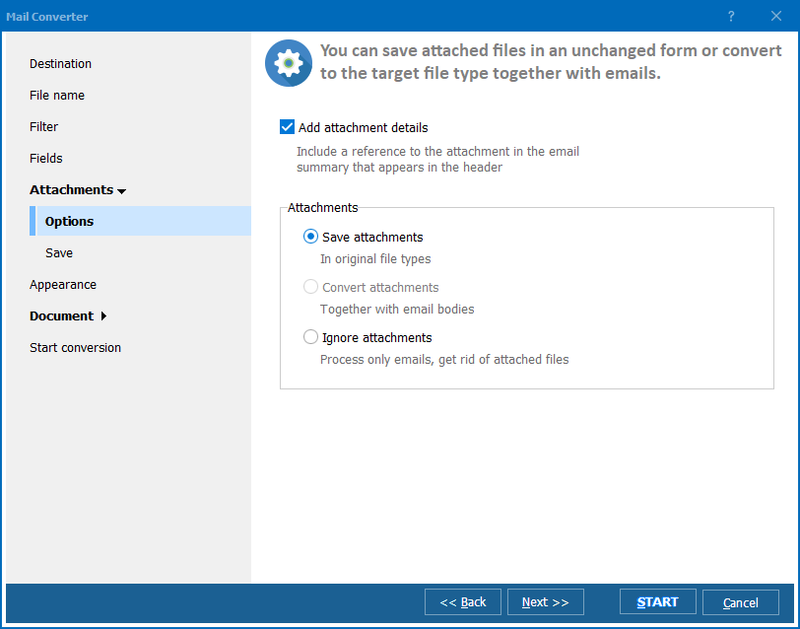 Converting emails with attachments helps to keep important information from your mail history in local copies, suitable for reading and editing, if needed. 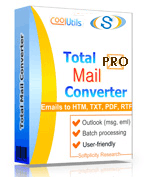 Total Mail Converter Pro is able to process attachments in different ways - convert them to target format, save in original format to a folder, insert some types of attached files into a converted mail copy. The recent update of this program allows renaming attachments during conversion. This feature will prevent you from getting lost in your attachments. When processing a lot of messages in one batch and leaving attached files with their original names, it becomes very complicated to understand, which file belongs to specific mail copy. 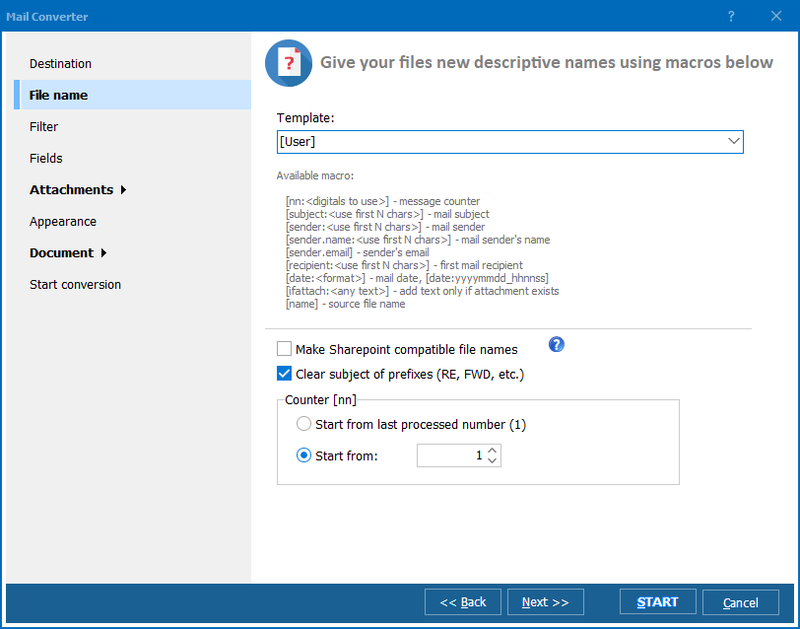 Now you are able to set the template for naming extracted attachment by specific macros. The future name can be any combination of aforementioned tags. This is how you can connect every attachments to the mail it belongs too. The email file name can contain in the attachment copy name. Pro version is able to process attachments of any types, and the choice of available actions depends on their type. For instance, executable files can be only stored in their native format, while images can be either inserted to converted email or saved to a separate folder. Attached messages and documents can be converted or saved as they are. With such approach to email conversion you will not only backup your mails and attachments, preventing them from loss, but also will properly sort all converted copies in your local storage. And what is the biggest benefit - Total Mail Converter Pro does this automatically! Just give it a try.